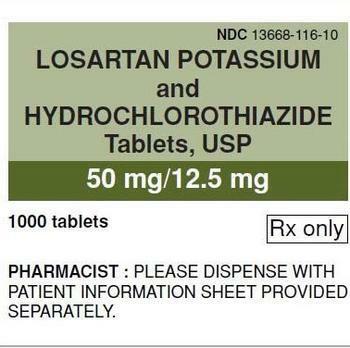 Torrent Pharmaceuticals Limited is expanding its earlier recall of Losartan potassium tablets USP to include six lots of Losartan potassium and hydrochlorothiazide tablets, USP. Trace amounts of an unexpected impurity, N-nitrosodiethylamine (NDEA), which has been classified as a probable human carcinogen as per International Agency for Research on Cancer (IARC) classification. There have been no reports of adverse events. The recalled products were distributed nationwide to Torrent’s wholesale distributor, repackager and retail customers. Patients who are on Losartan should continue taking their medication, as the risk of harm to the patient’s health may be higher if the treatment is stopped immediately without any alternative treatment. Torrent Pharmaceuticals is notifying customers by phone and in writing, arranging for return of all recalled products to Qualanex. Instructions for returning recalled products are given in the recall letter. Questions regarding the return of the recalled product may be be directed to Qualanex at (888) 280-2040 from 8 am - 9:00 pm (ET).